December 21: Punjab’s performance on the implementation of National Action Plan has witnessed a slight downward trend during third quarter of 2017. This was shared by PILDAT in its Fourth Quarterly Monitor on the Implementation of National Action Plan on Counter Terrorism in Punjab. The Public Forum was addressed by Mr. Mujeeb ur Rahman Shami, Editor in Chief Daily Pakistan, senior journalist; Lt. Gen. Retd. 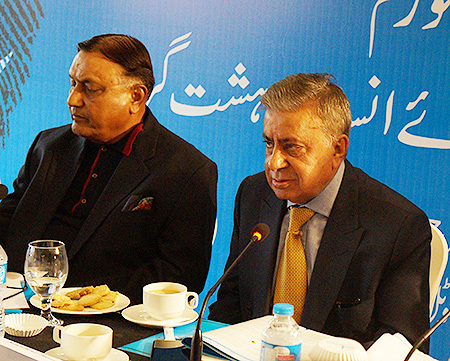 Moinuddin Haider, Former Governor Sindh, Former Interior Minister; Mr. Shahid Hamid, Former Governor, Punjab, Former DG FIA; Mr. Tasneem Noorani, Former Federal Secretary for Interior, Former Secretary for Education, Punjab; Mr. Tariq Pervez, Former Caretaker Home Minister, Punjab, Former National Coordinator, NACTA, Former DG FIA; Arif Nizami, Senior Analyst and Mr. Ahmed Bilal Mehboob, President PILDAT. Six members of the provincial assembly of Punjab, members of civil society and a large number of media personnel from the print and electronic media participated in the event. This Fourth Quarterly Monitor on Implementation of NAP in Punjab is a continuation of periodic monitoring of implementation of National Action Plan that PILDAT began in January 2017. 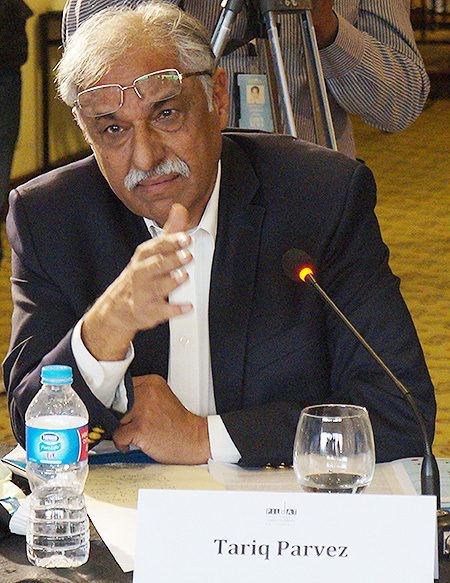 Ahmed Bilal Mehboob explained that during the third quarter of 2017, of the 15 NAP Points pertaining to the performance of Punjab on the implementation of the National Action, 2 NAP Points (NAP Point 6, which relates to choking terrorist financing, and 11, which relates to ban on glorification of terrorists through print and electronic media) have shown upward progress, while 3 NAP points (NAP Point 7, which relates to ensuring against re-emergence of proscribed organizations, and Point No. 13 which relates to the dismantling of terrorist networks and Point No. 15 which calls for Zero-tolerance for militancy in Punjab) have shown a regression in their status of implementation. PILDAT has not given assessment of status of implementation of 2 NAP Points (NAP Point 1, which calls for implementation of death sentences of terrorism convicts, and 2, which calls for the constitution of Military Courts) due to insufficient data. Province of Punjab received Green traffic light (progress satisfactory) on 1 out of 15 NAP points; Green-Amber (progress somewhat satisfactory) on 9 NAP points, followed by 2 Amber-Red traffic lights (progress somewhat unsatisfactory) and 1 Red light (progress unsatisfactory). Speaking at the occasion Mr. Tariq Pervez stated that there has been very little transparency in the manner that National Action Plan has been implemented. While many executions have taken place since the moratorium on death penalty was lifted on the pretext of fighting terrorism, but very few of those executed were actually terrorists. He stated that NACTA is the agency tasked with co-ordination of counter-terrorism efforts, but the Government has not made NACTA a priority. He argued that the implementation of NAP points on Action against religious persecution, hate literature, terrorist financing and re-emergence of proscribed organizations was less than satisfactory. There is also little information on the criteria used to forward cases to military courts. 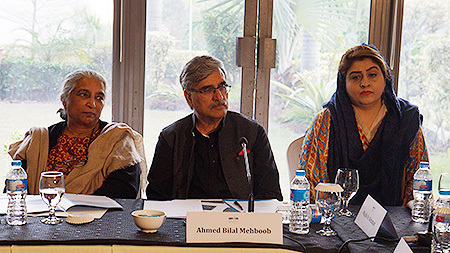 Mr. Tasneem Noorani opined that while PILDAT’s quarterly assessment of NAP’s implementation was rigorous, it appears that the National Action Plan is no longer a priority for the Government. He stated that when viewed from this perspective, it seems that implementation on NAP was unsatisfactory on all points. Mr. Shahid Hamid stated that writ of the state has declined because of recent events in the country, which was a worrying trend. He stated that while PILDAT was doing a commendable job by formulating a quarterly assessment on implementation of NAP, it is in fact NACTA and provincial governments who should be providing periodic reports on NAP. Mr. Shami stated the Faizabad incident proves that strict implementation of NAP also leads to a backlash and has political costs associated with it. It is therefore imperative that all political forces come together with the Government to work on this crucial issue. Military courts are not the answer and instead there is an urgent need to close the communication gap between the executive and the judiciary for better implementation of NAP, he added. General Moinuddin Haider stated that many attempts at reforms had taken place in the recent years, but they usually fall through at the implementation stage e.g. the proposed FATA reforms. He added that the focus of political debates recently has not been counter-terrorism, but Panama leaks. A civil society representative Diep Saeeda commented that NAP had also been misused to increase the restrictions on civil society activists. She pointed out ordinary citizens could not raise these questions without facing state repression. She pointed out that a young activist, Raza Khan has been missing for 19 days, and civilian authorities were not aware of his whereabouts. He went missing after attending an event on the topic of extremism. English Monitor on Implementation of National Action Plan to Counter Terrorism in Punjab can be accessed here. Urdu Monitor on Implementation of National Action Plan to Counter Terrorism in Punjab can be accessed here.